Hanoi (VNA) – The US Department of Commerce has rescinded the administrative review, in part, of the anti-dumping duty order on frozen warm-water shrimp from Vietnam for the period from February 1, 2016 through January 31, 2017. The department published in the Federal Register a notice of initiation of an anti-dumping duty administrative review on Vietnam’s frozen warm-water shrimp on April 10 this year, based on timely request for review of 55 companies by the Hoc Shrimp Trade Action Committee (the petitioner) and of 88 companies by the American Shrimp Processors Association (ASPA) and various Vietnamese companies. 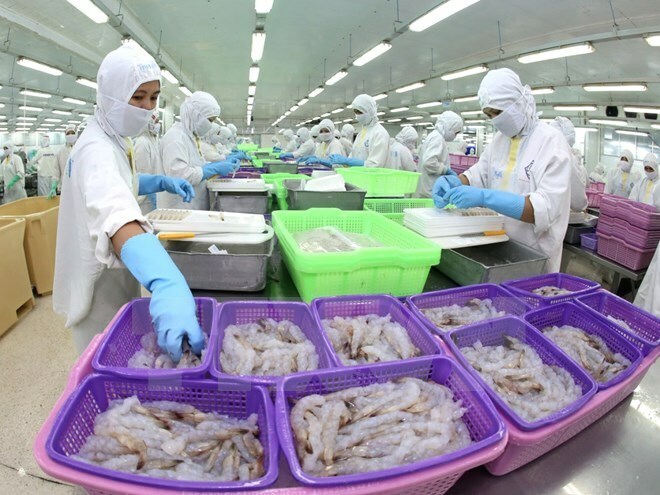 However, three Vietnamese shrimp producers withdrew their requests for review while the petitioner and ASPA also withdrew their respective review requests for these companies. In addition, a Vietnamese producer did not request a review of itself. So that, the department decided to rescind the previous review with respect to these companies. And the review remains active with respect to all other companies for whom a review was initiated.